DEC 25, 13 .. MERRY CHRISTMAS FROM ALASKA .. The above photograph was taken from our bedroom window. My-Oh-My the two of us feel so blessed and so very lucky to have this view from our bedroom. When we step-outside we enjoy the below view! Much Joy .. Cap and Patti .. I want to lie-down and quietly-weep tears of gratitude when I see the beauty that God has given to all of us. The above photo was snapped where Patti and I live in Anchorage Alaska. I have put up a Post over at Baba Kaps Doxology with several photos and some text in case you are interested in one of my recent mis-adventures. 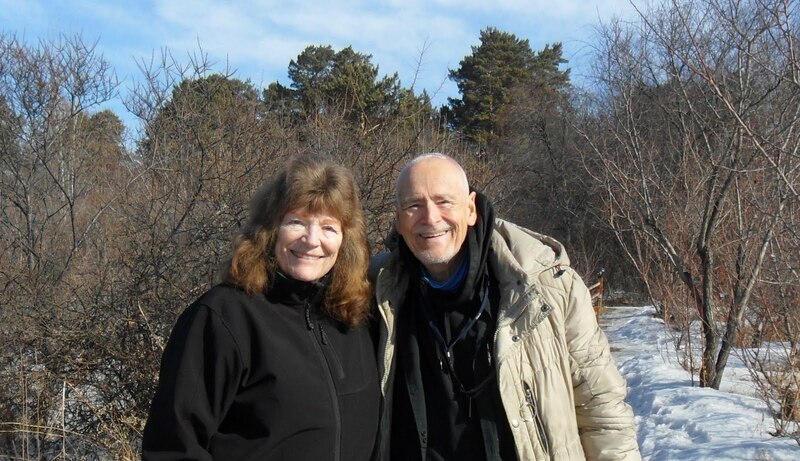 Smiles .. Cap and Patti ..
DEC 7, 13 .. BACK IN ANCHORAGE ..
Patti and I have returned to Anchorage Alaska from a two month visit to Manley Hot Springs Alaska lasting from October the 9th until we arrived back in Anchorage this past Thursday evening December the 5th. I have just published a post over at my other web site. If you would like to view that post .. please click onto the LINK to BABA KAPS DOXOLOGY to view this new post. While we were in Manley Hot Springs .. Patti and I spent many hours in front of our wood stove .. enjoying the warmth and the beauty of the fire while listening to Garrison Keillor monologues from his radio show. A wood fire is magic ..
OCT 9, 13 .. ALASKAN TIDAL ' BORE TIDES ' .. I BEGAN this post last Saturday .. October the 5th .. and I could NOT publish it .. so here it is .. a day-or-two late and a few dollars-short .. Here in the United States .. south of the City of Anchorage located in the State of Alaska .. there is a body-of-water called the Turnagain Arm of Cook Inlet. The vertical tidal fluctuations in the Turnagain Arm of Cook Inlet are among the most radical in the world. The vertical tidal fluctuations in the Bay of Fundy in Eastern Canada between New Brunswick and Nova Scotia on the Atlantic Coast are generally considered to be the most severe and the most well-known. The Bay of Fundy has had vertical tidal fluctuations of fifty five (55) feet as measured from high tide to low tide! When the out-going tide collides with the in-coming tide .. once in awhile .. from time-to-time .. a phenomenon called a 'Bore Tide' occurs. Usually a 'Bore Tide' will occur during an especially severe vertical tidal fluctuation often at the time of a full moon. This phenomenon is also called a 'Tidal Bore'. 'Bore Tide' followers consult their 'Tide Tables' and try to predict when they will be able to see an especially good 'Bore Tide'. From time-to-time local newspapers will actually advise us of a possibly significant 'Bore Tide'. Really significant 'Bore Tides' tend to be very rare and difficult to witness. Patti has been watching out for them for almost fifty years as she has driven along Turnagain Arm of Cook Inlet. Yesterday .. Friday the 4th of October .. 100% ABSOLUTELY AND TOTALLY UNEXPECTEDLY .. Patti and I saw the most magnificent 'Bore Tide' that we have ever seen! Patti and I were stopped at a vehicle turn-out along the Seward Highway at milepost 95.3 and I very 'idly' snapped the below photograph. FOR MUCH MORE PLEASE GO TO .. BABA KAPS DOXOLOGY .. MY OTHER WEB SITE ..
OCT 5, 13 .. ' TERMINATION DUST ' .. PART IV ..
Below are a two more photos of our ' Termination Dust '. These two photos were taken earlier in the Autumn than the photos I showed several posts down below in Parts I, II and III. Again .. for more details see ' Termination Dust ' .. Parts I, II and III below .. Smiles .. Cap ..
Another stunningly beautiful day here in Anchorage Alaska. We all know the long dark nights are coming with snow and cold so we treasure this time of year. Several more photographs of our immediate neighborhood. I wish I knew why-oh-why I can no longer consistently get all of my photographs to post in the extra-large format as you see in the above photos! Not that the winter is not beautiful. But autumn is a treasure here and elsewhere. Smiles from Cap and Patti ..
Scroll down to see Parts I and II if you haven't seen them yet ..
We had a great autumn day today and I wanted to post a few photos while our weather is still so pleasant. If it was dark and raining .. I would not feel like posting these brilliant scenes showing where we live in Anchorage. SEP 28, 13 .. AUTUMN COLORS .. PART II ..
As I stated above in Part I .. Today was an absolutely beautiful autumn day here in Anchorage. Here are a few additional photos of the area surrounding where we live. Such beauty .. need I say more ? And ? .. And the sun is setting on summer in Alaska ! The seasons and the cycles of life continue. Continue to Scroll Down for Part(s) II and I ..
Several more photos of the ' Termination Dust ' seen here in Anchorage, Alaska.
' Termination Dust ' is the first snow to appear on the local mountains and means the ' Termination ' of summer and the approach of winter. In Anchorage Alaska .. one sign that summer is ending and winter is beginning is when we see Termination Dust on the tops of the local mountains. Termination Dust is the TERMINATION of summer. It is the first sign of snow that suddenly appears at the tops of the mountains that surround Anchorage. As the days pass this snow slowly works its way down the mountains until the snow reaches the ground adjacent to our homes. Below are two photos taken this evening of some Termination Dust near our condo in Anchorage. You can clearly see that the ground upon-which-I-stand is not yet snow-covered. SEP 20, 13 .. PATTI AND CAP .. I have just put up a lengthy post at .. baba kaps doxology. You may want to run over and check-it-out. Below are two recent photos of Patti and myself that I wanted to share with you. I do not recognize myself without the eye-glasses I have worn for sixty-two (62) years since 1952. Smiles from Cap and from Patti ..
SEP 10, 13 .. MISSING GOA BIG TIME ! I can not believe that some of you continue to 'check-in' here at my Bobba Caps Doxology web site when I have been totally inactive for weeks-at-a-time! I seem to be averaging one-post-per month lately! IF any of you are also following me over at Baba Kaps Doxology you know that on August 1st and August 8th I had cataract eye-surgery on my right and my left eyes. All the details are there at Baba Kaps Doxology and I won't bore you further here with them except to say that this eye-surgery really laid-me-out in many aspects of my day-to-day life. Onward! I want to post some of my photos of Goa .. the Indian State on the West Coast of India located South of Mumbai or .. as-you-like .. Bombay. They were taken from November 14th 2011 into early January of 2012. OH MUMTAZ! YES MUMTAZ! We all still love you so very much. It is nice to see you again Mumtaz. OK .. let me post a few of my Goa photos. There you have a few photos of Goa. I hope they bring back nice memories of my 2011-2012 trip to India ..
** Comment Below: My Webmistress Gullible got on-line and enlarged the above photographs which were previously small. THANK YOU GULLIBLE! AUG 15, 13 .. ANCHORAGE FLOWERS .. I feel badly that .. regarding my two web sites .. all of my efforts for the past several weeks have been focused upon my cataract eye surgery. For details go to baba kaps doxology. Here are a few photos of the wonderful summer flowers in front of a favorite restaurant of Patti and myself here in Anchorage Alaska. And one last photo of flowers 'on the lawn'. Can you all see the train coming down the tracks in the far distance? Look for the headlight! A tiny-white-dot! WOW HERE IT IS ! AMTRAK is a United States federally supported railroad system. It is an excellent experience to ride on AMTRAK! On Friday, July 26th, Patti and I boarded the AMTRAK Railroad Train in Royal Oak Michigan and headed for Chicago Illinois as our three week trip came to a close. We enjoyed a very nice six hour trip on the train. Here are some photos that we took during our trip to Chicago. Can you see Patti in the distance walking away from me up the asile. And speaking of Patti .. here she is enjoying the trip. As you can see .. the coaches are very clean and pleasant and the trains are fully air-conditioned. The next three photos show the dining car and mini-restaurant facility. Patti and I enjoyed two absolutely EXCELLENT salads during our trip. In the below photo you can see from the line of people waiting 'their turn' to purchase food and drinks that the dining car is very popular! Below are three photographs of Chicago's Union Station.